The corporate history of GlaxoSmithKline [GSK] starts with a Drug Store in Philadelphia  and a Trading Company in New Zealand , a history sketched through the many mergers on their website. But the parts that are of current interest were the acquisition of SmithKlineBeecham by GlaxoWelcome in 2000 and the coming of Andrew Witty as CEO in 2008. 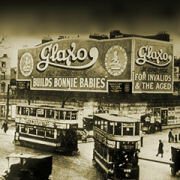 Witty has been with Glaxo since 1985, straight from university at age 21 – rising through the ranks. by Perry Nisen, M.D., Ph.D., and Frank Rockhold, Ph.D.
New England Journal of Medicine. 2013 369:475-78. What information will investigators be required to submit? How will research proposals be reviewed? What are the conditions on which access will be provided? Sir Andrew and I are on the exact same page in this latter comment [in red]. And it highlights that complaint of mine. I consider myself a solid member of the domain of as many people as want to look at the data. And it’s because I want to make sure that absolutely the right conclusions have been drawn. That’s me in a nutshell – a practicing physician who is considering prescribing Andrew Witty’s medication to a patient. So I want to see if they proved the efficacy of the drug and if the adverse effects have been reported accurately. You’d think I should be able to tell that from the published article, but that hasn’t been the case for a pretty good while, at least in psychiatry. So I want to look for myself. Do I have the credentials they might find suitable? Would my primitive statistical expertise stand their test? Am I capable of tallying up the adverse events appropriately? And what’s my research proposal? All I want is to make sure that absolutely the right conclusions have been drawn. In fact, I did that with their Study 329 data when it finally showed up on their website last year [some eleven years after they published the article, some seven years after they were court ordered to post the data publicly – see the lesson of Study 329: an unfinished symphony…]. The data was in a text format so I had to copy the values by hand to a spread sheet. And as you know, that study was negative every which way but Sunday, unlike the published article’s conclusions. It is important that the analyses proposed by investigators petitioning to access a data set have scientific credibility. We believe that there are public health risks if the proposed analyses are not scientifically robust and give rise to erroneous concerns about safety or false hopes of a potential benefit for patients. Therefore, in accordance with the expectations of usual good scientific practice, investigators will be required to submit a brief research proposal with the use of an online form, describing their analysis and publication plans, their management of potential conflicts of interest, and the qualifications and experience of their search team [which should include a statistician]. … it pisses me off. The authors of that paper gave false hopes of a potential benefit for patients and didn’t give enough rise to concerns about safety, not only with GSKs safe passage but with their help, including their paying the real author, Sally Laden. And management of potential conflicts of interest? Out the window. So that’s why I’m not ready to make nice [see the wisdom of the Dixie Chicks…]. They want to check my credentials? Well I want to check theirs. This blog and many others are full of similar examples – unpublished studies, studies with biased design, statistical manipulations, omissions, creative graphs, etc. There’s even a growing field in medicine of people who spend their time using creative but indirect methods to find all the games being played to distort the Clinical Trial results. The record speaks for itself, and GlaxoSmithKline is prominently represented. 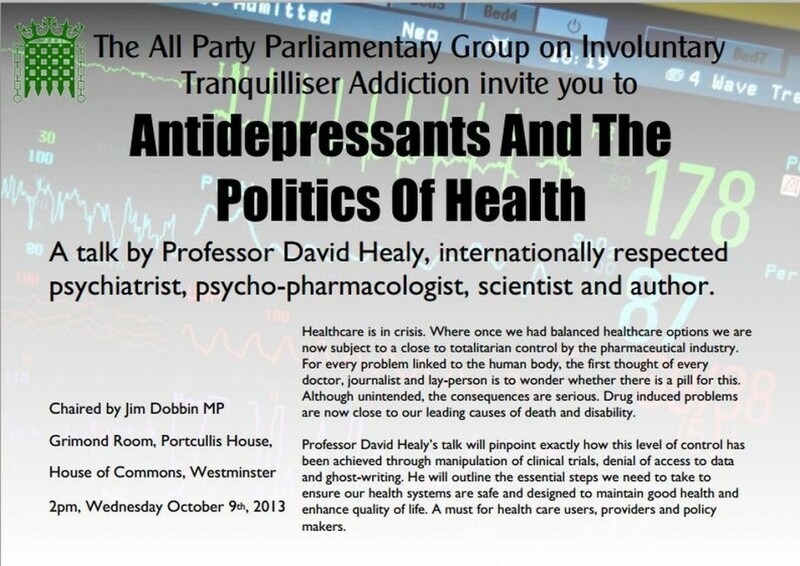 I really like and respect the work Iain Chalmers and Ben Goldacre have done. I fully support AllTrials. I own Bad Science and two versions of Bad Pharma. I even think I might like Andrew Witty if he lived on my street. But, if he’s going to say he has a policy that gives as many people as want to look at the data a chance to make sure that absolutely the right conclusions have been drawn, he’s going to have to make his company’s actual policy match the words. A 50-something psychiatrist told me that the people running SmithKlineBeecham had been psychopaths and Glaxo bought their messes. But since then, GSK has hardly distinguished itself as a beacon of trustworthiness. Here’s a little twist. The descendent of the family who owned the Trading Company in New Zealand is now our Prime Minister’s Chief Science Advisor and an avid supporter of drug treatment for suicidal kids. GSK In China : Cash, Bribes and Prostitutes: Can They Sink Any Lower? 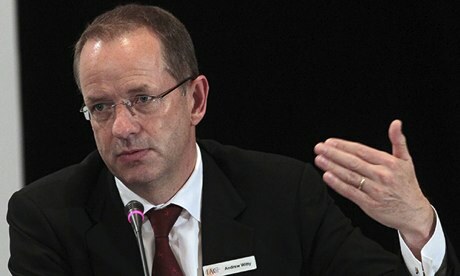 The boss of GlaxoSmithKline insists the pharmaceutical giant will not pull out of China despite a lurid corruption scandal that has wiped out two-thirds of its business in the world’s second-largest economy. 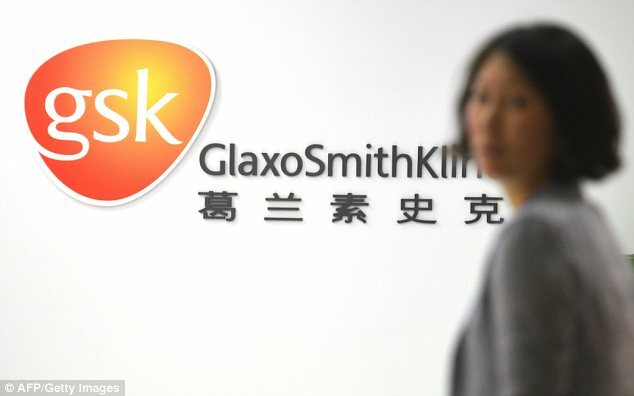 GSK, one of the UK’s largest blue-chip companies, reported that sales in the fast-growing Chinese market had dropped by 61% since July as buyers ditched its medicines and vaccines. GSK is accused of using a £320m fund to bribe doctors and hospital officials with cash and prostitutes in order to sell its products. Witty was speaking as the pharmaceutical company unveiled its results for the third quarter, which revealed that global sales grew modestly at 1%. The Chinese state news agency Xinhua went on the attack last month, saying that the corruption scandal had been orchestrated by senior executives at GSK China, at odds with the defence of “bad apples” in the sales department that GSK had suggested. Witty declined to comment on the allegations in detail until the investigation is concluded. “The activities described by the authorities are very serious and totally unacceptable. They are contrary to our values and to everything I believe in. We very clearly recognise there is a profound need to earn the trust of Chinese people again. We will take every action to do so.